Let them eat cake! 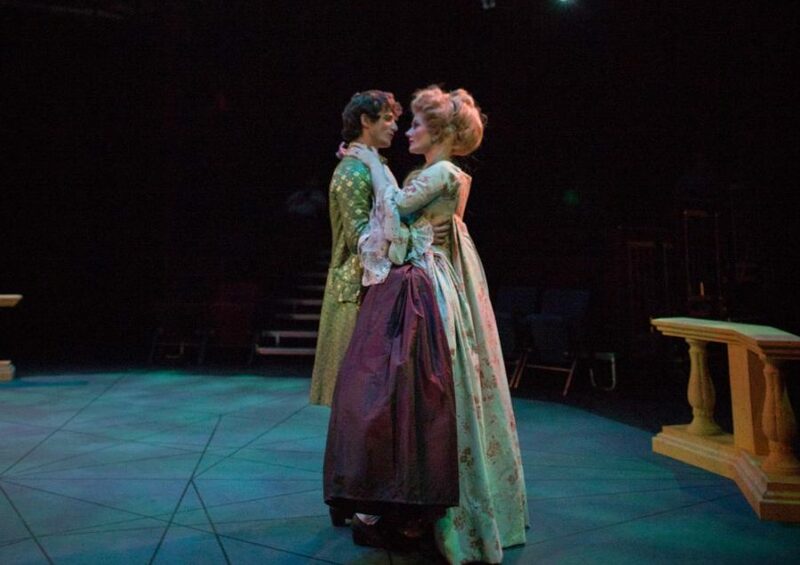 “Marie Antoinette” opened in Jewel Theatre on Thursday, May 3. The show is performed in the round, which means that the audience is on all sides and actors perform in the middle. The production begins on the outskirts of the stage and moves in closer to the middle with each consecutive scene until Marie Antoinette is trapped in the center of the stage. The production is Laila Sahir’s (‘18) senior project. Sahir said she found ways to make Marie’s power evident, such as having other characters copy her gestures and turn to her for approval. By focusing on Marie Antoinette, Sahir hopes to give the audience perspective on the story of the French Revolution. Mikaela Hanrahan (‘21) experiences a similar process playing Marie’s brother. She said adapting to play a wealthy male character is challenging. John Kuntz (‘19) composed the music for the show. He focused on making the music enhance scenes and communicate feelings. Morgan Fanning (‘20) plays Marie Antoinette and is excited to play a historical figure. Fanning said one of the most challenging elements is the costumes. Fanning hopes that the audience can see the humanity in Marie Antoinette. “Marie Antoinette” will be performed on Friday, May 11 and Saturday, May 12 at 7:30 p.m.